Spending another year on the face of the earth is a feat to be thankful to Almighty God for. 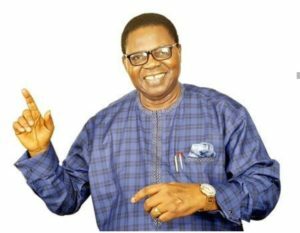 Such can be said of the life of Chief Ebenezer Obey, the renowned, prolific and influential gospel juju music icon born on April 3, 1942. After moving to Lagos he kick-started his career professionally in the 1950s. Upon completion of his tutelage by the Fatai Rolling Dollar’s band, he created The International Brothers in 1964 and then transformed it into Inter-Reformers in the early-1970s. Fondly called Chief Commander by his fans, Evangelist Obey is a Christian and makes music with spiritual themes but has since the 1990s retired from the music industry. Releasing over fifty albums throughout his career, the Chief Commander is a cultural and religious traditionalist. In 1963, he tied the knot with his heart robe, late Juliana Olaide Olufade, also known as Lady Evangelist Juliana Obey-Fabiyi, who passed on in August 23, 2011 at the age of 67. To mark the legend’s birthday, the Idogo community of Ogun State has set up an event to thrill both dignitaries and his fans. Seven gospel artistes are billed to perform at the event. They are veteran gospel musician, Pastor Joseph Adelakun, aka Ayewa; Evangelist Bukola Akinade aka Senwele Jesu; Esther Igbekele; Ayan Jesu; Aduke Gold; Yinka Ayorinde and Decross Gospel Choir. Also planned for the ceremony is seven-hour praise alter by seven gospel ministers and the commissioning of the Ilaro/Idogo Road, Yewa South Local Government in honor of the patriarch and is billed for the Idogo town hall ground. Speaking to journalists in response to the honor, Obey said he appreciated God for all his achievements while acknowledging that the community’s consideration of naming the road after him is a great honor. “I thank the authorities of the Yewa Local Government for this honor. I see it as a rare opportunity and I am grateful to God and everyone that made this possible.” The Evangelist stated. We at Giantability Media Network therefore wish him more fruitful years and that God who gives life will not stop granting him divine grace to do more exploits in His vineyard. Happy Birthday Sir! This entry was posted in Christianity, Entertainment, Faith and tagged Chief ebenezar obey, De cross church. Bookmark the permalink.